As a 20-year veteran of the U.S. Foreign Service and currently serving as political counselor at the American Embassy in Belgrade, author Matthew Palmer is able to quickly and convincingly open a lens on the unseen world of American foreign affairs. It may even change some people's perspectives. His debut novel, The American Mission, is fiction. However, having also worked on the secretary of state's planning staff, Palmer knows the job. He helped design and implement the Kimberly Process for certifying African diamonds as “conflict free." And it was his experience in Africa that provided the foundation for his mesmerizing political-advenuture thriller debut. The American Mission strikes a nerve as informed fiction. After American Foreign Services officer Alex Baines jeopardizes his career by placing humanitarian efforts ahead of his orders in Darfur, a lifelong friend and mentor steps in to give him a second chance in the Democratic Republic of Congo (DRC). Baines accepts the assignment from Ambassador Howard “Spence” Spencer, seeing it as the only real opportunity he will ever have to redeem his career. Although familiar with the DRC, having spent time there while serving in the Peace Corps, Baines knows the new assignment won't be easy. His very first mission upon arrival is negotiating a hostage release from a guerrilla leader known as The Hammer Of God — a tenuous task given that Baines has spent the last three years denying VISAs in Conakry, Guinea. Palmer does an excellent job at using this negotiation to establish uncomfortable truths about the foreign services. Despite demanding $35 million in cash and the withdrawal of all United Nations forces and western mining companies, the charismatic and well-educated leader of The Hammer Of God strikes at the heart of the problem. 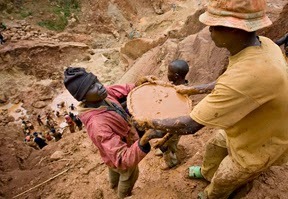 Everyone wants to exploit the country's mineral assets, but few see the people of the Congo as anything more than in the way of profit margins. Baines successfully negotiates a realistic exchange for the engineers and contractors working for American-based Consolidated Mining, but not before having a seed planted in his idealistic head. Consolidated Mining and the country's dictator, President Silwamba, do have a cozy relationship with each other. As such, it means nothing to the president to grant mineral rights out from under the residents of Busu-Mouli, even if they have already opened and are operating a modest mine along the Congo River. Doing so will not only steal the mining operation away from the village, but will also force them to move so Consolidated Mining can strip-mine mineral sources for less than working with the villagers. It's also bad news for Baines. The last time he weighed the moral and ethical balance between the indigenous people and American interests, it almost cost him a career. Now, there seems to be even more on the line. One misstep could cost him his life in a country on the brink of a revolution. A few more graphs about newcomer Matthew Palmer. Matthew Palmer continues to work for the U.S. Embassy in Belgrade and occasionally shares bits of wit and wisdom from his post. On one occasion, he compared himself to Greg Brady as Johnny Bravo after being asked to serve as master of ceremonies for a springs award ceremony. When he asked why he was selected for such an honor, he was told he was the only American on staff who could pronounce Serbian names. Palmer is well respected for his foreign policy and public diplomacy. He currently oversees a staff of twelve and advises the U.S. Ambassador on all aspects of Serbian relations. 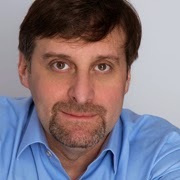 He originally earned a bachelor's degree in East Asian studies from Wesleyan University before earning a master's in Japanese studies at the University of Michigan and master's in national security strategy from the National War College. He also speaks four languages. The American Mission By Matthew Palmer Strikes 7.7 On The Liquid Hip Richter Scale. Although sometimes predictable as a thriller, Palmer deserves high marks for eloquently laying out the challenges associated with work in the foreign services. It requires significant effort to preserve bilateral relationships while other parties, including other governments, work toward their agendas. 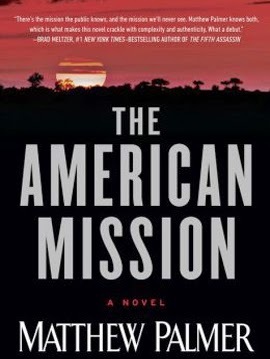 The American Mission by Matthew Palmer can be found on Amazon or downloaded from iBooks. The audiobook is narrated by Erik Singer who finds the sweet spot in portraying Baines as a willing fish out of water. The American Mission is also available at Barnes & Noble.